As the name implies, the Z brackets look like the letter Z, in that they are formed aluminum, flat roof mounting brackets for solar panels. 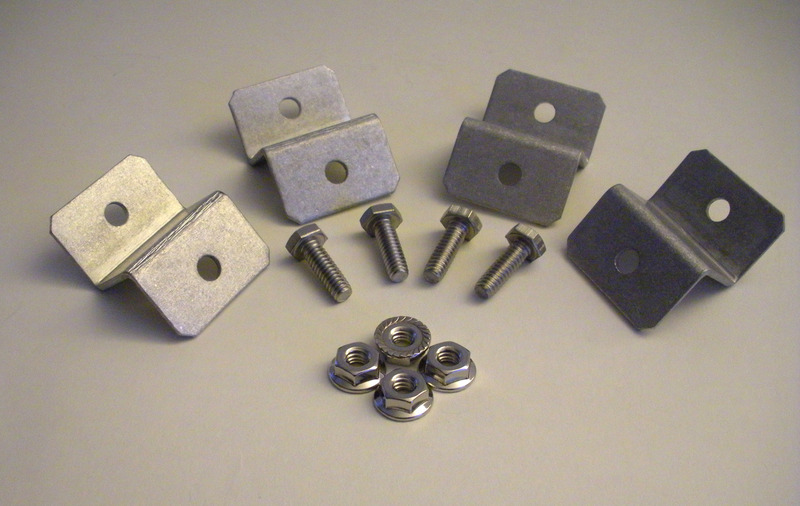 Perfect for small solar panels or arrays that are being attached to a building or an RV roof. Kit includes four Z brackets and hardware. For solar panels above 100 watts, we recommend 2 kits per panel.